Welcome to the Institute of Diplomatic Practice and Development Policies, an establishment which is helping to shape Africa’s role on the international scene with new perspectives on development policies. With the determination to give a new direction in development diplomacy, the Institute seeks to emphasise the need for a gradual but steady march towards sustainable self development and progressively reduced dependence on foreign development assistance. This approach is coupled with efforts to help train future generations of both African and non-African officials, especially diplomats, with a mindset to move in that new direction. The Institute’s team, led by its Executive Director, Ambassador Nana Bema KUMI, an accomplished diplomat with thirty-five years exposure to the international arena in political, economic as well as legal spheres, is ready to serve at all times. 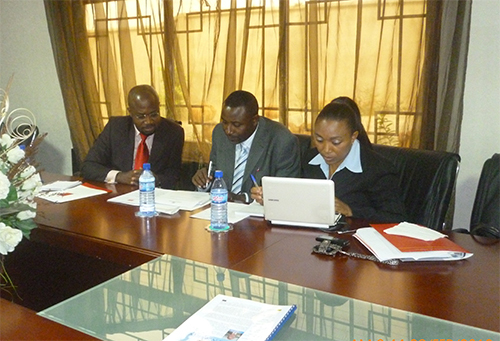 The Institute of Diplomatic Practice and Development Policies (I-2DP) is committed to enhancing the ability of African practitioners to effectively engage their foreign counterparts in all spheres of diplomatic practice, especially through negotiations; and to constantly update their knowledge on topical international economic and political developments with a view to enabling them appreciate the impact of such developments on Africa. I-2DP also aims at placing participants in an informed position to advise their respective governments on the formulation and implementation of appropriate policies aimed at improving the economic circumstances of their countries. This is done mainly through tailor-made, short and crisp courses at three levels i.e. junior, mid-career and senior officials. Fourteen such training programmes have been organized by I-2DP since July, 2011. 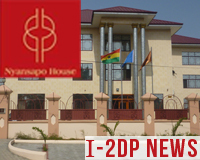 Established in March, 2011, I-2DP is an applied policy research institute as well as a growing centre for capacity development of African officials who represent their governments regional organizations, civil society organizations as well as private sector establishments at multilateral meetings. From July 2011 to February, 2014, I-2DP has trained one hundred and forty-seven (147) diplomats and other government officials who represent their countries or organizations at international meetings. Trainees included thirty-six (36) officials from Ecowas, twenty-four (24) from the AU Peace and Security Department, three from the European Centre for Development Policy Management based in Maastricht, The Netherlands and officials from Ghana, Sierra Leone and Liberia. 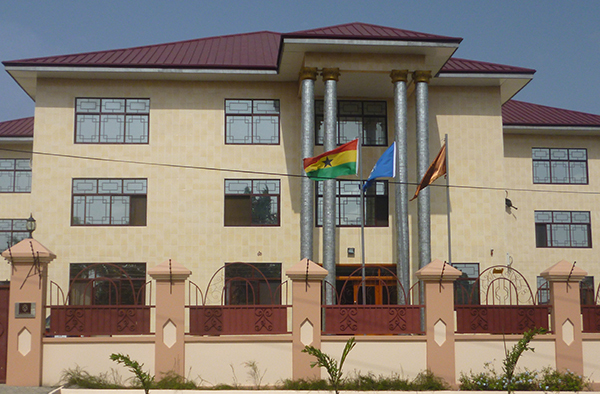 Located in Nyansapo House, in the peaceful neighbourhood of East Legon in Accra, Ghana, I-2DP has a Faculty of seasoned practitioners in Diplomacy, International Law, International Development Cooperation and many other related fields. I-2DP offers modern accommodation for course participants.